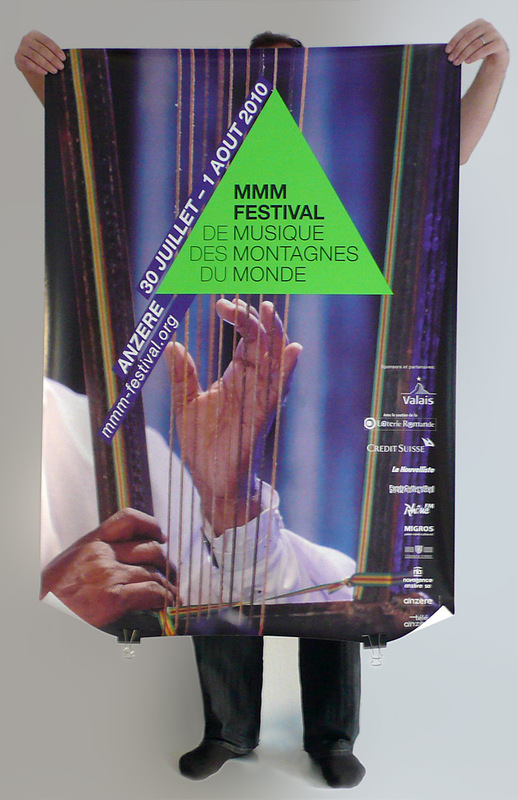 The new logo system was designed by FL@33 as part of an evolving visual identity for the annual MMM-Festival – Musiques des Montagnes du Monde that took place in Anzère, Switzerland. 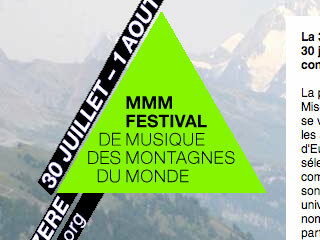 ___ The MMM-Festival featured an eclectic mix of music from mountain areas around the world. 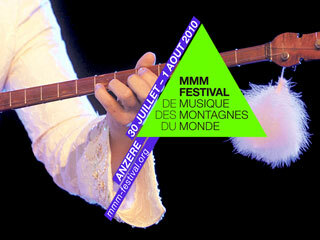 The annual event was organised three times in three consecutive summers between 2008 and 2010. 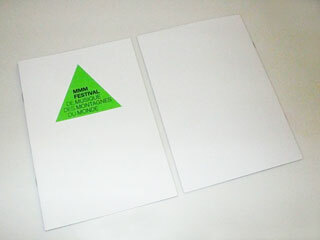 ___ The event quickly evolved during this time and so did its visual identity. 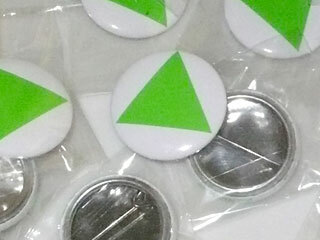 The new triangular logo was introduced during the 2010 campaign and applied across all media including the 2010 version of the festival website, a billboard-sized banner, festival posters, postcards, button badges and the festival programme – all sporting a fluorescent green (Pantone 802) that was introduced and firmly established in 2009 as part of the festival's visual identity. 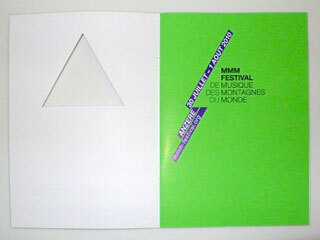 In 2010 FL@33's responsiblities and involvement in the creative direction of the music festival exceeded those of previous years as FL@33's very own Agathe Jacquillat also curated the MMM-Festival 2010 while also working closely with the organsation team and keeping an eye on FL@33's design and communications part of the complex work. 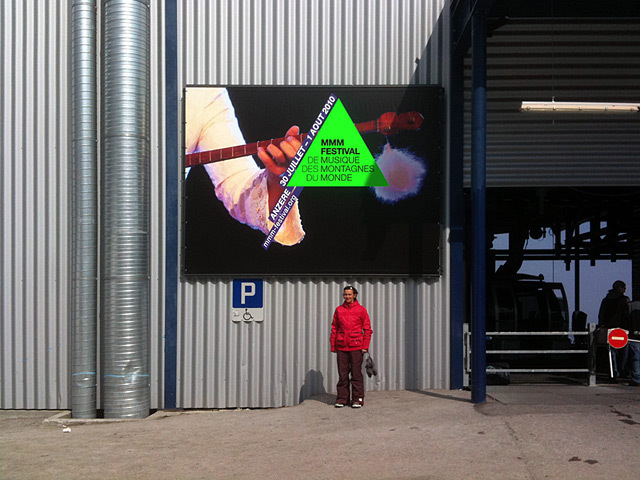 ___ All this happened as an hommage to the festival's founder who sadly and unexpectedly passed away in early 2010. 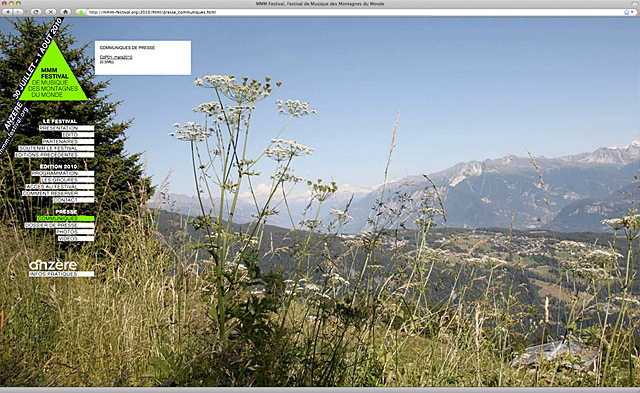 Anzère is a beautiful resort, in the Swiss Alps, situated on a high plateau facing south and overlooking the Rhone Valley. The breathtaking panoramic view of the Valaisan Alps presents a whopping 12 peaks over 4000m – from Bitschhorn to Mont-Blanc.